Low cost funeral packages for over 150 years. Joseph A Hey & Son Ltd Funeral Directors based out of Great Horton Road, was established in Bradford in 1908, though its family roots go back even earlier. Today the company is still an independent family owned and managed business. Joan (Jo) Hey Morphet holds a Diploma in Funeral Directing. She is part of the fourth generation of the family working in the firm and is the company secretary and director. In 1990 Robert Morphet was appointed Managing Director having worked in the funeral profession since leaving school in 1980. 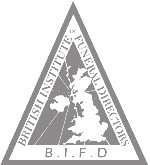 Robert holds a Diploma in Funeral Directing, a Diploma in Management Studies and is a member of the British Institute of Embalmers. In 1997 he was awarded a Masters Degree in Business Administration (MBA). Joseph A Hey and Son Ltd was established on 3rd Octpber 1908, but the Hey family are very proud of Watson Turnpenny who takes their unbroken, family owned pedigree in funeral services back to 1856, which must surely be one of the longest established business in Bradford. As an independent family funeral home we work around the clock to serve our local community and ease the burden a loss can bring. Joseph A Hey & Son Ltd recognise that funerals are unique and memorable occasions and we aim to tailor each service to your unique needs. We work closely with you and can either fulfil your ideas or offer appropriate suggestions for creating a funeral that reflects your loved ones personality. Our experienced team of funeral directors are capable of providing a full funeral service including arranging and conducting the funeral. In addition to our experience in providing funerals to those of all faiths and backgrounds we also specialise in the creation of bespoke headstones and memorials, the perfect way to remember your loved ones and provide them with the lasting tribute they deserve. 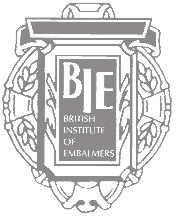 As one of the leading local independent funeral companies, for over 150 years, the Hey family have been caring and compassionately serving the people of Bradford, Shipley, Bingley, Keighley, Skipton, Settle, Halifax, Sowerby Bridge, Cleckheaton and any BD post code in their time of need.